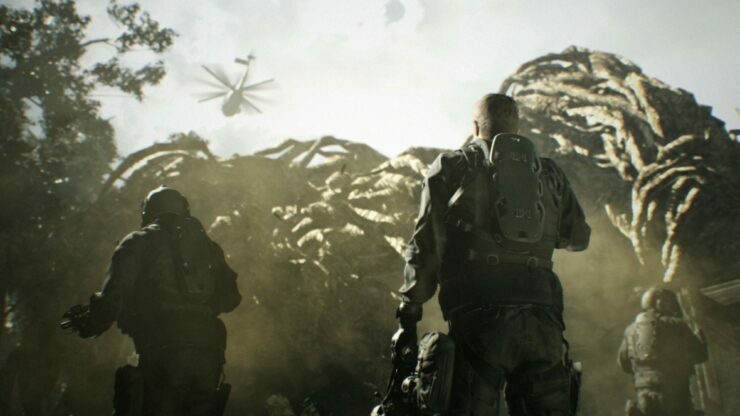 Back in February, Capcom revealed a free DLC pack for Resident Evil 7 called Not a Hero, which was supposed to release during Spring on all formats. Sadly, it seems like players will have to wait longer than anticipated to see Chris Redfield coming back to the series. In a new video message, Resident Evil 7 Producer Masachika Kawata and Director Koshi Nakanishi confirmed that the Not a Hero DLC has been delayed, as its current quality level doesn’t match the high quality of the main game. The additional development time will be used to create something that fans will love. Additionally, it’s been confirmed that more Resident Evil 7 content is in the works. Unlike the Not a Hero DLC, it doesn’t seem like it will be made available for free. After the controversial Resident Evil 6, Resident Evil 7 is a return to form for the series, as we have noted in our review. But it’s the house and the Baker family that make Resident Evil 7 so brilliant. It’s been years since we felt terrified of a game, at points unable to continue without a break, and despite it feeling slightly too long, that’s something well worth celebrating. Resident Evil 7 is back, it’s brilliant, and it’s scary. Who’d have thought we’d be saying that a few years ago? Where it goes next is anyone’s business, but Capcom finally seem to be back on track, and we couldn’t be happier. Resident Evil 7 is now available in all regions on PC, PlayStation 4 and Xbox One. We will keep you updated on the Not a Hero DLC as soon as more comes in on it, so stay tuned for all the latest news.